Richard E. Grant (The Doctor), Sophie Okonedo (Alison Cheney), Sir Derek Jacobi (The Master), Diana Quick (Prime), Jim Norton (Kennet), Craig Kelly (Joe), Conor Moloney (Greaves), Andrew Dunn (Max), Anna Calder-Marshall (Mathilda), Conor Moloney (Dawson). When the Doctor lands his TARDIS in the Lancaster town of Lannet, in the present, he finds that somehing is terribly wrong. The people are scared. They don’t like going out onto the streets at night, they don’t like making too much noise, and they certainly don’t like strangers asking questions. Each episode was first made available on the BBC website Thursday at noon GMT. They are approximately ten minutes long and are divided into smaller chapters. Introducing the Ninth Doctor, this fully-animated feature was originally published on the BBC Doctor Who website. 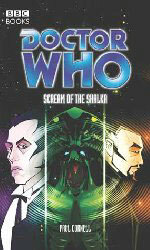 Novelised as Doctor Who - The Scream of the Shalka by Paul Cornell in February 2004 (ISBN: 0 563 48619 8). Weeks later, the TARDIS materialises in the English village of Lannet, and a very irritated Doctor emerges to find that he and his companion are not where they should be. There’s an odd smell in the air, and the streets are strangely deserted. It seems that, once again, adventure is being thrust upon the unwilling Doctor. Angered by this interference in his affairs, the Doctor removes a mobile phone from the TARDIS’ front hutch and heads for the nearby pub, where he finds a single extremely drunk patron receiving free drinks from barmaid Alison Cheney. The bar’s owner, Max, discourages Alison from speaking to the Doctor, and, since it’s clear that they’re all too frightened to tell him what’s going on, the frustrated Doctor sweeps out of the pub. Alison follows him, but he’s gone by the time she emerges, and something alien is lurking in the shadows, watching her. It allows her to pass unmolested, but as she walks past the TARDIS, the ground cracks open and the police box sinks into a pit of lava. Exploring the village, the Doctor finds evidence of underground activity and finds a statue on a street corner, something like a human body encased in stone. An old woman named Mathilda sits huddled in a nearby alley, and the Doctor greets her and offers her spare change from a multitude of planets. Though clearly terrified, Mathilda responds to his kindness and tries to warn him about the danger, albeit cryptically. The animals have all fled from the town, as if frightened off by a predator, and Mathilda warns the Doctor to stay off soft surfaces, such as the grass. Before she can tell him more, a low rumbling from beneath the earth builds to a deafening pitch; the street lamp above them shatters, the Doctor’s nose begins to bleed, and Mathilda dies, possibly of sheer fright. The Doctor lays her to rest, realising that, like it or not, he’s now become personally involved in affairs. The Doctor politely introduces himself to the aliens and then knocks their heads off; one with a table lamp, and the other by reflecting its own sonic shriek back at itself with a silver tea tray. As he, Alison and Joe flee, the Doctor claims that he hasn’t killed the aliens; they are raw bioplasmic entities, and their bodies which he temporarily destroyed were just crusts over their real forms. The Doctor uses a hairpin to break into the store next door, and builds a makeshift bomb out of garbage cans and fertiliser. The aliens reassemble themselves and track down their foes, but while their shrieking paralyses Alison and Joe with fear, the Doctor is immune to its effects and completes his work. He then ushers Alison and Joe out of the shop, lighting a fuse made of twisted newspapers, and the aliens burst up through the floor just in time to see the fuse burn down. The shop explodes, and so, unfortunately, does Alison and Joe’s house -- but as the Doctor had hoped, the sonic pulse from the explosion not only deals with the immediate threat, but also stuns the other aliens deep underground. Soon the town is alive with noise and cheering as the townspeople realise that they’re free. His work done, the Doctor bids Alison and Joe an abrupt farewell and departs, only to find that the TARDIS is no longer where he left it. Frustrated, and insisting that he’s done enough here, he uses his mobile phone to contact the secretary-general of the UN and requests that a team of speleologists be sent in to help. The alien which has been watching Alison has seen all of this, and has returned to a great underground cavern where the aliens have taken the TARDIS. She blasts open the TARDIS doors with a shriek, but finds the Doctor’s companion -- the Master -- waiting inside. The Master, guessing that the intruder wishes to board the TARDIS by force, generates a force field which reflects her shrieks back upon herself, knocking her back out of the TARDIS. The Doctor is upset when a military taskforce led by Major Thomas Kennet descends upon the town to evacuate the townspeople. All the Doctor wants to do is recover his TARDIS and leave the human race to its own problems, but Kennet reminds him that they’re there to keep the civilians safe. Nobody outside the town noticed that anything was wrong until the Doctor called in help; nobody within the town was allowed to leave, and the delivery people who normally visited the town simply turned back at the edge without even noticing that anything was wrong. In fact, Alison is the only person to have seen a single alien in the entire three weeks. The Doctor theorises that the town is built atop a plug of volcanic rock which the aliens can manipulate with their sonic shrieks, and points out nearby caves which could lead to their base. Kennet insists upon accompanying the Doctor into the caves, to the Doctor’s irritation. Major Kennet receives word of the attack on the evacuation truck as he and his men enter the caves. The Doctor is disturbed to realise that the aliens aren’t behaving as he expected, and is furious when Kennet offers him a gun. The soldiers are then attacked by a giant slug-like creature, a gestalt of several aliens merged together. The Doctor advises Sergeant Greaves to throw grenades against the tunnel wall, claiming that the shock wave of the explosion will stun the creature -- but he runs forward as the grenades explode, and Kennet realises too late that the Doctor has tricked him into bringing the roof down between the Doctor and the soldiers. Surrounded by hostile aliens, Kennet and his men are forced to retreat from the caves, leaving the Doctor behind. The Doctor leaps into the slug’s mouth and allows it to carry him to the aliens’ cavern. There are over 2,000 aliens here, as well as the TARDIS and an artificial wormhole through space and time. The Doctor tries to return to the TARDIS, but his way is blocked by the aliens’ leader, the one which has been watching Alison and which broke into the TARDIS; this is the Prime, the war chief of the Shalka Confederacy. While the other Shalka resemble giant worms or snakes, the Prime has taken on a more humanoid form in order to comprehend the dominant species of the planet she is invading. The Doctor, while claiming not to care one way or the other, suggests that the Shalka simply colonise the interior of the planet rather than invading it, and leave the humans in peace. But this isn’t good enough for the Prime -- and now she has taken an interest in the TARDIS as well. The Shalka bring Alison forward and force her towards a pit of lava, and although the Doctor tries to show no concern, he gives in at the last moment and agrees to let the Shalka into the TARDIS. Inside the TARDIS, he switches off the Master, who was an android all along. The Prime has the Doctor and Alison sealed off in the cavern while her Shalka study the TARDIS. The Doctor is furious with Alison for refusing to sacrifice herself and thus forcing him to show his true colours to the Shalka; this sort of thing has happened before, and the Doctor still hasn’t forgiven himself for what happened then. When he has someone else to worry about, he makes mistakes, and people die. Alison, irritated by the Doctor’s attitude, refuses to give up her life for a town she wanted to leave in the first place. She then experiences a sudden headache, but assumes that it’s due to the poor air circulation and volcanic gases in the cavern -- and that she got the scar on her forehead from debris when her house exploded. Inside the TARDIS, the Master snaps back to life to find himself surrounded by Shalka, which he claims was his plan all along. The Doctor has hidden the true secrets of this craft, but the Master can reveal them for a price -- safe passage off the planet Earth. Elsewhere, as the stunned Joe waits for another evacuation truck to take him away from Lannet, the earth cracks open and Alison is returned to him; she is somewhat dazed by her experiences, is unsure why the Shalka let her go, and believes that she’s seen the Doctor die. In fact, the Doctor is still falling towards the black hole’s event horizon. Believing that he is doomed, he uses his mobile phone to leave a desperate message on Kennet’s answering machine, apologising for his harsh behaviour, telling Kennet how to find the Shalka and advising him to attack the warp gate. As he speaks his last words, however, he remembers that the mobile phone is a part of the TARDIS and may still be linked to his ship. Indeed, he is able to manipulate the phone to generate a door back into the TARDIS, and once inside he expels the Shalka from his ship into the black hole. The Master actually seems happy to see him back, but when the Doctor tries to scan the cavern for Alison, the Master sets the TARDIS to dematerialise without her. The Doctor has programmed him with specific instructions; under circumstances such as these, they are to leave the girl behind. The TARDIS materialises in the school, where Kennet has set up a temporary military HQ. The Doctor is delighted to learn that Alison is alive, but surprised that she was released without harm. He deletes the message which he left for Kennet before the Major has a chance to listen to it, and, embarrassed by his earlier behaviour, offers to stay and provide the help Kennet needs. Sergeant Greaves then reports that a truck carrying oxygen cylinders has just run down a Shalka in the road, and the Doctor theorises that the Shalka require volcanic gas to survive and are vulnerable to pure oxygen. He thus advises Greaves to keep the Shalka wrapped up in an oxygen tent and to get it to the chemistry lab at the school. Lannet has been evacuated. Alison and Joe are taken to Alison’s mother’s home, where Alison receives a phone call informing her that the Doctor has survived. However, before she or Joe can enter the house, Joe finds that he is unable to control his body, and without intending to, he knocks out their driver and gets back into the evacuation van. Alison is also forced to enter the van, and finds that she can’t even telephone the Doctor to tell him what’s happening. Joe starts to drive, unsure where he’s going, knowing only that his throat feels sore and that Alison’s head is throbbing with pain -- as though there’s something inside it. Controlled by the Shalka once more, the townspeople are forced to march to a nearby warehouse, where Max is unable to stop himself from throttling a young security guard. As the townspeople cry out for someone to help them, the TARDIS materialises, bringing the Doctor, Kennet and his soldiers to the scene. The townspeople reluctantly attack the soldiers, but the Doctor manages to remove the Shalka from Alison’s head, breaking its control over the townspeople before any casualties result. Unfortunately, it turns out that Lannet wasn’t the only village infiltrated by the Shalka; across the world, 26 other sleeper communities have been activated. The Doctor plots out the pattern of the controlled communities across the world and deduces what the Shalka intend to do. 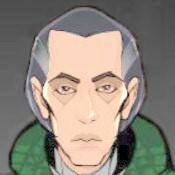 For the past three weeks, they’ve been subsonically conditioning the villagers to transmit the Shalka scream themselves, which is why so many villagers have sore throats. When all of their slaves scream in unison, the molecular vibration will transform the Earth’s atmosphere into one suitable for the Shalka but toxic to humans; there will be no atmospheric barrier to solar radiation, and the Shalka will be able to move freely about the planet’s surface to kill any human survivors. The Shalka’s slaves begin to scream across the world; within an hour, the Earth’s atmosphere will become lethal to human life. Some of the affected countries try to bomb the screaming communities, but the Shalka blast the planes out of the sky with their sonic cries. Only the Doctor can save the day, but he needs Alison’s help to do so. She accepts the responsibility, and Joe has no choice but to let her go. Inside the TARDIS, Alison meets the Master, who apparently tries to hypnotise her but switches on the charm when the Doctor returns. The Doctor has meditated himself into a state of near serenity, and he now takes Alison back to the caves; however, the Master must remain in the TARDIS, which he cannot leave. The Shalka chain up the Doctor and Alison next to a device which the Doctor realises is the equivalent of an internet server, co-ordinating the Shalka cry across the planet and keeping the slaves under control without the Shalka having to monitor them consciously. The Doctor frees himself and Alison with the same hairpin he used to break into the hardware store, and then swallows the tiny Shalka worm which he removed from Alison’s forehead and allows it to latch into his nervous system. He thus forges a connection to the Shalka, which allows him to perceive the scream in all its beauty, and also to reprogramme it. He then confronts the crowd of Shalka in the cave, provokes them into attacking him, analyses the frequency of their sonic attack and turns it back on them, disintegrating them all back into biomass. The Prime senses the disturbance in the cavern, and returns via the wormhole to confront the Doctor. The Doctor soon realises that he’s no match for her skill at sonic warfare, and thus provokes her into striking back at him, knocking him clear across the cave -- straight into the controls for the warp gate. Before the Prime can stop him, the Doctor operates the controls, turning the warp gate into a black hole once more. Since the Prime is standing right by the gate, she is blown over the threshold to face the same fate she tried to bestow upon the Doctor earlier. The Doctor nearly falls victim to the black hole himself, but he manages to cling onto the edge of the gate and shout instructions to Alison, who operates the controls and turns the black hole into a warp gate again. The Shalka worms are conditioned to control humans, which means the Doctor needs a human mind at the centre of the network to stop them. He thus coughs up the worm which he’s reprogrammed, and Alison allows him to put it back in her forehead. She thus gains control over the Shalka network and speaks to the Shalka’s slaves, who regain control of themselves, stop screaming and restore the Earth’s atmosphere to what it was. The Shalka detect this interference and mass into a giant slug like the one which confronted the Doctor earlier, but when it attacks, the Doctor shrieks a destructive note into the control server, blowing every remaining Shalka on the planet Earth to pieces. With a few more minutes, Alison could have repaired the damage inflicted upon Earth by the human race; however, the Doctor knows that the humans will have to solve this problem themselves. Inside the TARDIS, the Doctor fetches tea for his friends, while the Master explains to Alison that the Doctor lost someone dear to him some time ago. The Master helped the Doctor during that time, and in return, the Doctor offered him a chance for salvation; however, ever since then, certain forces have chosen to punish the Doctor for his actions by constantly sending him into danger. But despite the Doctor’s emotional isolation, the Master knows that Alison offers the Doctor a companionship which the Master never could. The TARDIS returns to the surface, where it’s pouring rain as the Earth recovers from the near-fatal ecological blow. Kennet and Greaves arrive with Joe, who’s delighted to see Alison safe and well -- but she finally admits that she was going to leave him before this all started, and that she’s chosen to travel with the Doctor instead. Kennet praises the Doctor’s efforts and asks if there’s room for another passenger aboard, but the Doctor turns him down and departs with Alison, leaving Kennet, Greaves and Joe to watch as the TARDIS dematerialises. An intriguing new direction for Doctor Who; however, developments with the new TV series mean that it is unlikely to be followed up anytime soon. Watch this space.